Champagne Tourmaline, commonly called Dravide, Dravite or Brown Tourmaline, is a gorgeous, cola-colored variety of Tourmaline that, many times, when held up to a light source, reveals a transparent to semi-transparent golden hue. Champagne Tourmaline is great for grounding, clearing and opening the Root chakra as well as cleansing and aligning the aura. If you feel uncomfortable in a crowd, carry a piece of Champagne Tourmaline with you, as it will put you at ease. Champagne Tourmaline can help with family issues, including the dysfunctional family. It helps to promote practicality and stability. Placing a piece of Champagne Tourmaline in a room can help to emit the collective understanding vibration out to anyone nearby, making for a more peaceful atmosphere once issues are addressed. Issues that have been buried will come to the surface, so be prepared to deal with and resolve these issues. Physically, Champagne Tourmaline can help to stimulate physical regeneration of ailing or diseased organs, including intestines and skin. 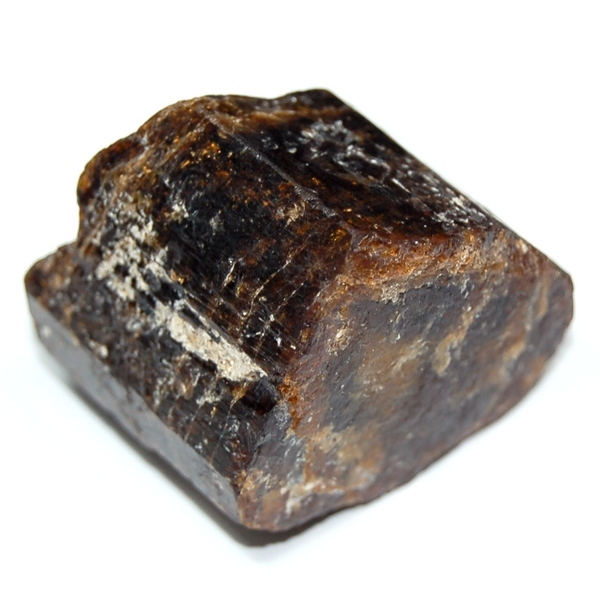 Use Champagne Tourmaline to assist in detoxifying the body and the removal of blockages. In general, Tourmaline is a fundamental metaphysical stone of our age. Tourmaline can help one to "get in touch" with the self, and to be able to accept that self. By aiding in the balance of the two hemispheres of the brain, Tourmaline can assist one in becoming a whole person, who attracts prosperity and happiness into one's experience. Click Here to see Champagne Tourmaline (Dravite) in our online catalog. Affirmation: I address issues and they are easily resolved. Question: Do you often feel as if you're "burning the candle at both ends"?